Energy is not visible to the naked eye, therefore you cannot see it escaping your building, but without proper insulation you will experience energy loss. Insulation can be installed in steel buildings to create a thermal barrier that will help control the rate of energy loss as well as helping to prevent condensation. Using quality, high r-value insulation materials will improve the thermal performance of your overall system and save money on heating and cooling costs. 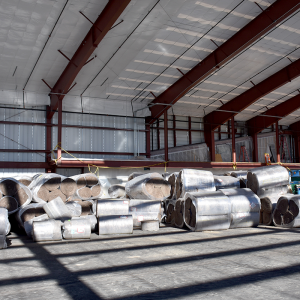 We have gained valuable experience over many years in the steel building industry, and have developed effective energy efficient steel building insulation systems. From basic quality single layer insulation systems to high performance thermal insulation systems, we are advocates for more insulation and maximizing the thermal performance values. Money spent upfront in insulation costs will be paid back through reduced energy bills, smaller mechanical systems and enhanced comfort levels for the occupants. When installing a single layer insulation system into a steel building, one layer of Fiberglass insulation is usually placed over the top of the roof purlins and/or on the outside of the wall girts before the exterior panels are secured. 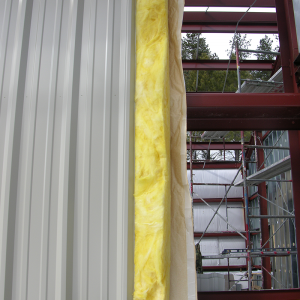 Then the vapor barrier facing is placed with the faced side towards the inside of the building, this will give the building interior a clean finished look. The thickest insulation system that can be achieved using a single layer of insulation is 6″; this results in a final r-value of R-19. 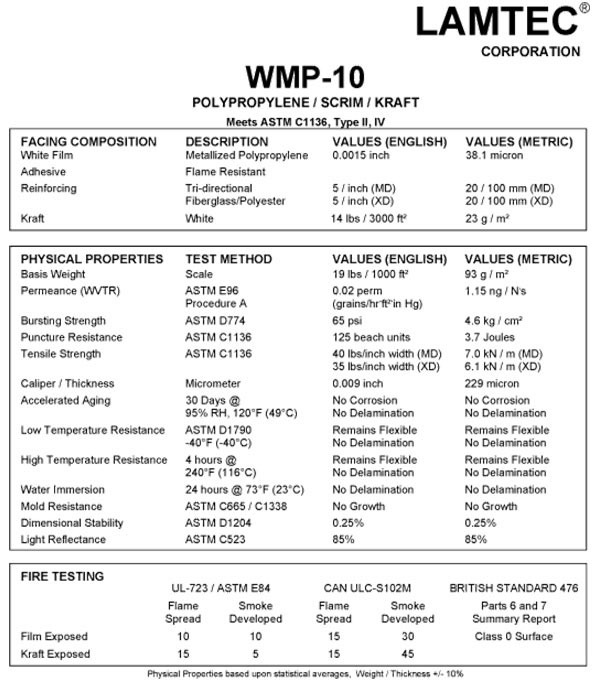 Anything thicker than 6″ will cause the sheeting material to develop an oil can or wave effect. If you want to achieve a higher R-Value than R-19 a Double Layer System or energy saver system is required. High R-Value Insulation Systems installed in steel buildings improve thermal performance results. The higher the r-value the better, increasing the thermal barrier is the best way to protect against moisture build-up and condensation. 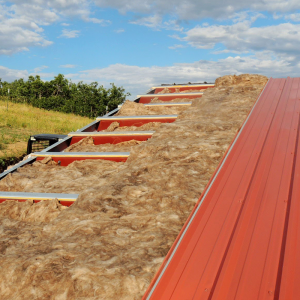 Double layer insulation systems are generally chosen where the climate sees regular changes, rainy seasons and snow are a large factor in deciding what r-value you should choose for your insulation system. Local building codes for your area require a specific level of energy efficiency and a higher r-value is required to adhere to the energy codes in certain regions. This innovative energy saving insulation system has one of the highest thermal performance results in the industry. The system is made up of a network of steel banding and a seamless energy saver fabric that resists tearing while concealing the secondary structural steel. The energy saver system provides a smooth, yet durable finished interior surface. During installation, a liner system is set in place to begin creation of the building envelope, then two layers of unfaced fiberglass are placed between the purlins and over the top of the purlins, the final step is placing the outside panels. 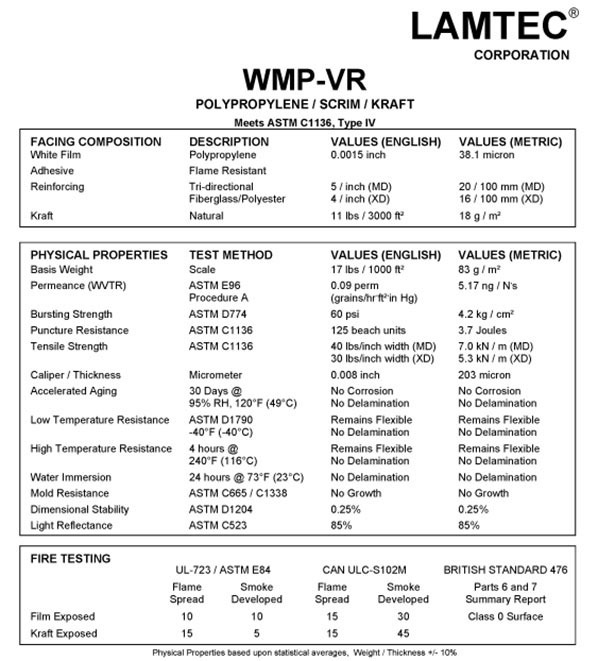 This system offers the best level of thermal performance with one of the highest vapor retarder ratings available. 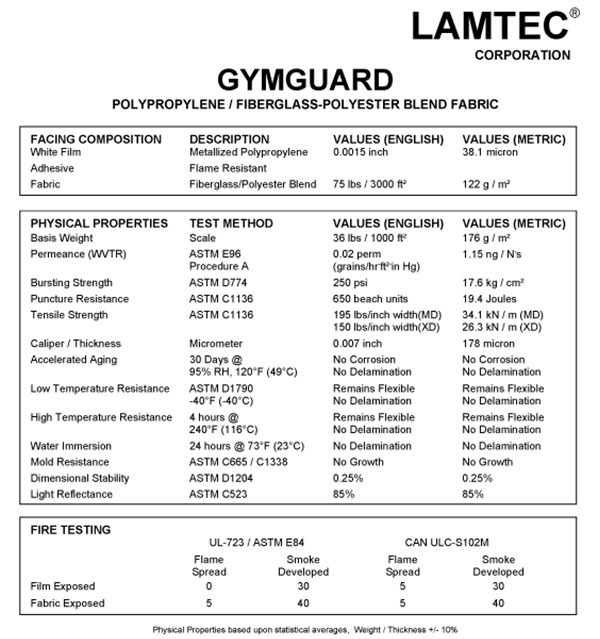 The fabric liner used in the energy saver insulation system is tested and approved to be OSHA compliant for fall protection. 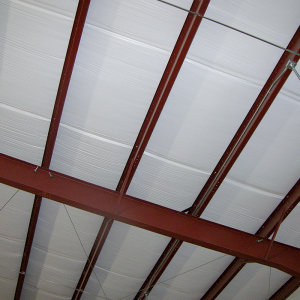 Metal Insulated Foam Panels are an ideal roofing and sheeting solution for steel buildings. 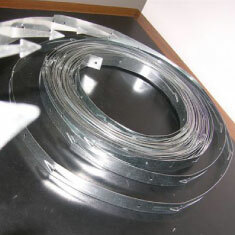 They are designed to act as a thermal barrier to improve energy efficiency in your building. Insulated foam panels offer high R-Values, (up to R-48) and combine strength, flexibility and outstanding thermal performance. We offer several colors to choose from and optional façade finishes including stucco, embossed, smooth and high rib steel panels. Our insulated panels are painted with long lasting Kynar paint systems that provide little to no maintenance, they are made to withstand weathering and fading from the sun. Insulated Metal Panels are available in lengths up to 50’; end lap joints can be added to cover more space on longer roof runs. Individual Panel thicknesses range anywhere from 2” to 6”, and will achieve R-Values of approximately 7.5 per inch. Sealed N Safe Thermal Blocks are the only tested and certified component of their kind. Thermal Blocks maximize thermal performance and help to drastically improve energy efficiency in steel buildings. 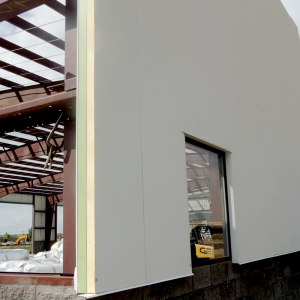 The thermal block insulation system is proven to be structurally sound and water tight, making it the the perfect solution for creating a metal building envelope. The system is easy to install and offers fast installation time. When installing the thermal block system; a Thermal Spacer Block is placed between the metal roof sheet and the roof purlin (or between the wall girt and the sheeting), it isolates the outer shell from the inner frame of the metal building. The 1” foam filled thermal blocks offer a non compressed R-6 performance value, and have been known to increase the insulation performance as much as 2 times in certain buildings. The investments you make with the cost of thermal blocks are known to be paid back through energy savings as little as 12 to 18 months. These calculated savings numbers are based on actual test results. After the initial pay back, you can benefit from a lifetime of savings on energy bills and little to no maintenance costs. Looking to DIY? We supply all of the necessary accessories for installing insulation in metal roofs, attaching insulation onto arch building walls, and hanging insulation rolls in your steel building. 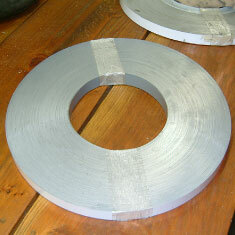 Insulation Tape, Patch Tape, Thermal break Tape, Steel Banding, Stick Pins and Washers. Vinyl faced insulation is available with a single 6″ tab preinstalled to each roll. The tabs are an extension of the facing itself which is attached to the fiberglass insulation blanket. These tabs are used to create a seal and add a finished edge at the seams. 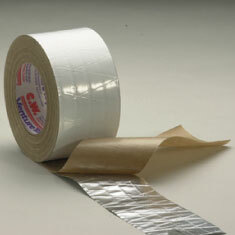 Double faced tape can also be added to seal the tab to next piece of insulation. Another option is to get a factory pre-applied adhesive on the tab, which the installer can peel and stick to the next insulation blanket. 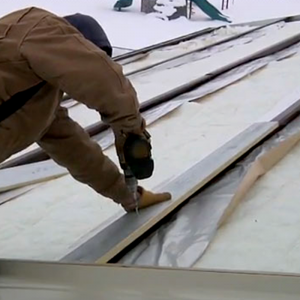 This method provides a clean seal to the seams and creates a vapor barrier. 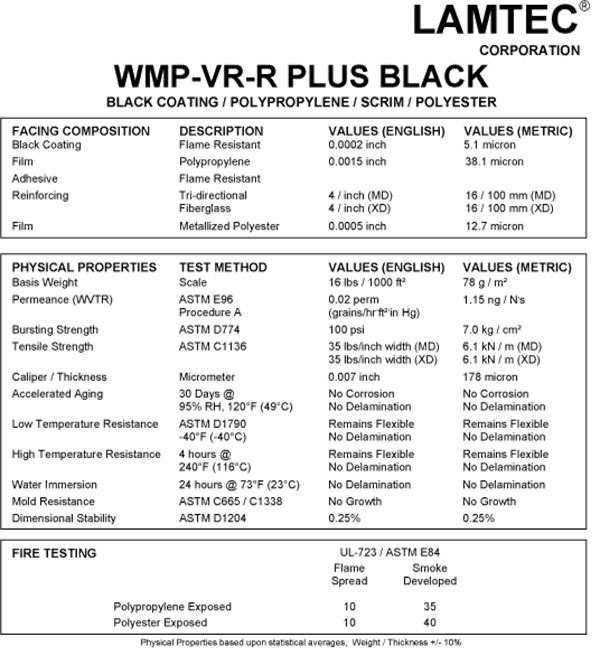 R-Value is the measurement of effectiveness of thermal performance given for insulation materials. The thicker the fiberglass blanket, the higher the R- value. 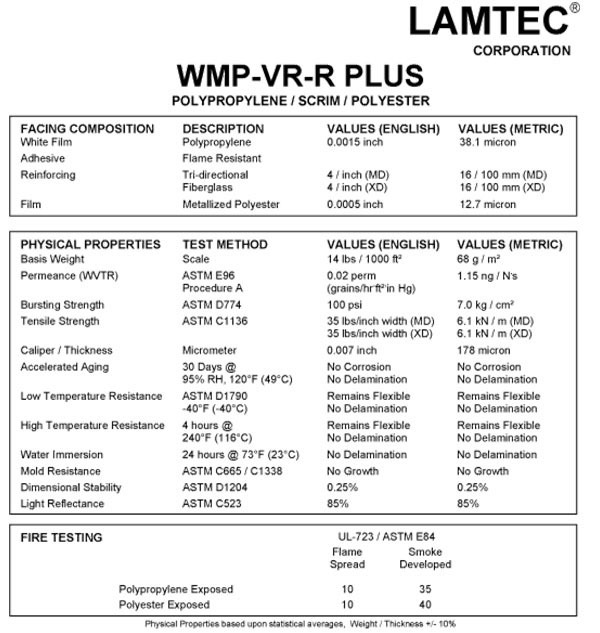 All R-values listed below are determined with the insulation uninstalled. Compression of the insulation blankets will reduce the R-values given, use measurements of uncompressed open fluffed insulation to determine your insulation systems true R-value.